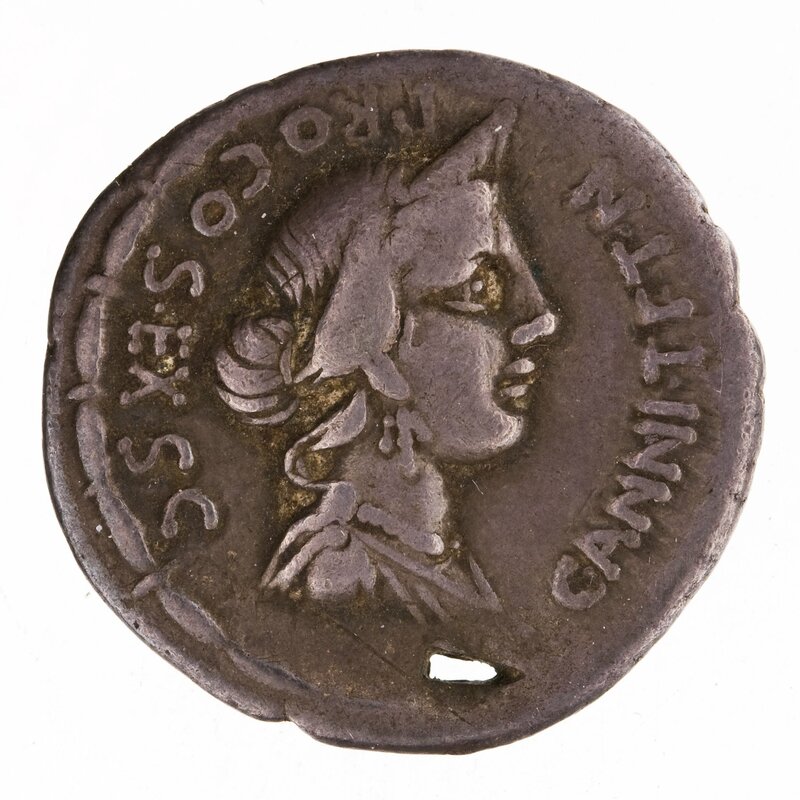 Obverse: C·ANNI·T·F·T·N·PRO·COS·EX·S·C A dot to right - Female bust right, draped and wearing diadem; around, inscription; below, control mark. Bead and reel border. 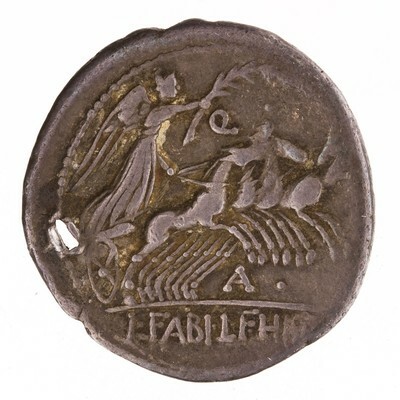 Reverse: L·FABI·L·F·HISP - Victory in quadriga right, holding reins in left hand and palm-branch in right hand; above, Q. Border of dots.